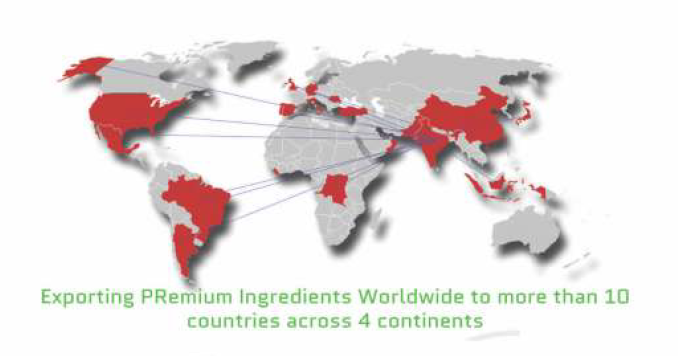 PR Exports is specialised in processing of Spices and Herbs, Superfoods, Herbal teas, natural and health ingredients from all around the world. PR Exports is an ISO 22000:2005 certfied company specializing in manufacturing of food ingredients as per customized specifications as per application and end use. Our Administrative and Marketing office is located in Mumbai, Maharahstra.